Q. I bought a horse and the horse now has a problem. Doesn’t the seller have to take it back? When do I have a legal claim against the seller? A. As a general matter, horse sales are “buyer beware” transactions. Most horse sellers, even breeders and brokers, do not have return policies or offer guarantees. 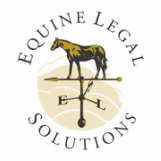 You only have a legal basis for suing the seller if the seller actively and grossly misrepresented the horse AND you can prove it. For example, let’s say you purchased a horse for your 10-year-old son and the seller advertised the horse in writing as “bombproof, kid safe, anyone can ride.” You, your trainer and your son tried out the horse, who was quiet as a lamb. You had the horse vet-checked and he had no physical problems. Two days later when the horse started bucking like a bronco, you made some inquiries and found out from the seller’s former trainer that the horse bucked off the seller and broke his collarbone in front of 50 witnesses, which is why he was selling the horse. Q. Is it safe to buy a horse over the Internet? A. Buying a horse over the Internet, especially sight unseen, increases the risk that you may be dissatisfied with your purchase. Photos and videos can be professionally edited to correct conformation flaws and mask gait irregularities. Behavioral and training issues are not easy to judge from a video, considering that a video is just a snapshot of the horse’s behavior at one moment in time. Even the horse’s height can be hard to judge with certainty from a photo or video. All that being said, the Internet greatly expands your horse-buying choices, and there are things you can do to help protect yourself. First and foremost, you can use our horse-buying checklist to be sure you ask the seller all of the appropriate questions. Consider hiring a professional trainer specializing in your breed or discipline to go out and evaluate the horse on your behalf. Next, you should have an independent veterinarian perform a thorough pre-purchase examination on the horse. If you have any questions about the horse’s conformation or temperament based upon what you have seen, ask the vet to pay attention to those particular points during the exam. Finally, you should have a written purchase agreement in which the seller makes representations and warranties about the horse’s soundness and behavior. Q. How can I get a vet check if the horse I want to buy is far away? A. Use the Internet and/or recommendations from friends, trainers or your own vet to locate a vet in the same vicinity as the horse. If at all possible, use a vet not affiliated with the seller. Q. What if the seller is reluctant to sign my purchase agreement? A. Explain why a purchase agreement protects both you and the seller and then answer any questions that the seller may have. If the seller still resists, move on to the next horse – asking the seller to sign a purchase agreement isn’t bad manners, it’s good sense. Q. I want to take the horse to my barn for a trial period, but the seller doesn’t want the horse to leave her property. Should I be suspicious? A. Not necessarily. The seller may have other buyers lined up, or the seller may simply not want to take the risk that something may happen to her horse while it is not under her care. If you can, try the horse several times at the seller’s barn instead. Q. Should I take my trainer or riding instructor with me to look at horses? A. Yes! However, even for first-time horse owners, I recommend that you look at horses with an experienced friend first, then take your trainer to see only the horse(s) you are considering buying. This approach will save you money, save your trainer time and you will still be able to benefit from your trainer’s advice and guidance. Before you go out to look at horses, discuss with your trainer what kind of horse you want and ask your trainer what questions you should be asking the seller. When you return, show your trainer any videos or photos you took, and ask him what he thinks of the horse. If he likes the horse, make an appointment with the seller to look at the horse again and bring your trainer along. Be prepared to pay your trainer for his time – to avoid misunderstandings, ask him in advance how much he will charge to accompany you.